The term French door refers to a style of door that has two sections that pivot on hinges mounted on opposite sides of the door framing, opening and closing in the middle. Each door section is constructed with glass panes throughout the center of the door—either a single pane of glass or individual panes framed within muntins. When both doors swing open, the entire doorway is open space, with no center post. French doors are popular because they allow natural light into a room and create a symmetrical, wide opening, unlike a sliding patio door. French doors often open to a balcony or other outdoor space, such as a porch or patio. However, they are also popular for interior passage doors where light and visibility is preferred to privacy. They can be used to create a spacious atmosphere, French country style. French doors open wider than ordinary patio doors. They offer an excellent way to connect indoors with outdoors. The extra-wide opening allows for increased ventilation. French doors are available in different styles to match home style: contemporary, colonial, craftsman, prairie, Tudor, Victorian. Privacy can be compromised since these doors usually don't include drapes, shades, or blinds. Wall framing must be altered to allow the space for the doors to swing freely. French doors allow you to close off spaces when needed. During the 1500s, France was frequently at war with Italy, and French occupying forces and leaders found themselves inspired by the art and architecture they observed from the Italian Renaissance. Among the architectural innovations brought back to France from Italy was a style of double doors and windows that favored open spaces, light, and symmetry. In France, these Italian-inspired double windows or doors were used frequently as openings to balconies, allowing light and air to enter spaces that could otherwise be dark and stuffy—especially useful in the days before electric lights, fans, and air conditioning. The use of these double doors—by now known as French doors—spread to Great Britain in the 1600s and from there to the United States. Although the term technically can refer to any kind of double interior passage doors or exterior patio doors, people in the United States generally use the term French doors to mean doors that are made of glass panels, not solid wood double doors. 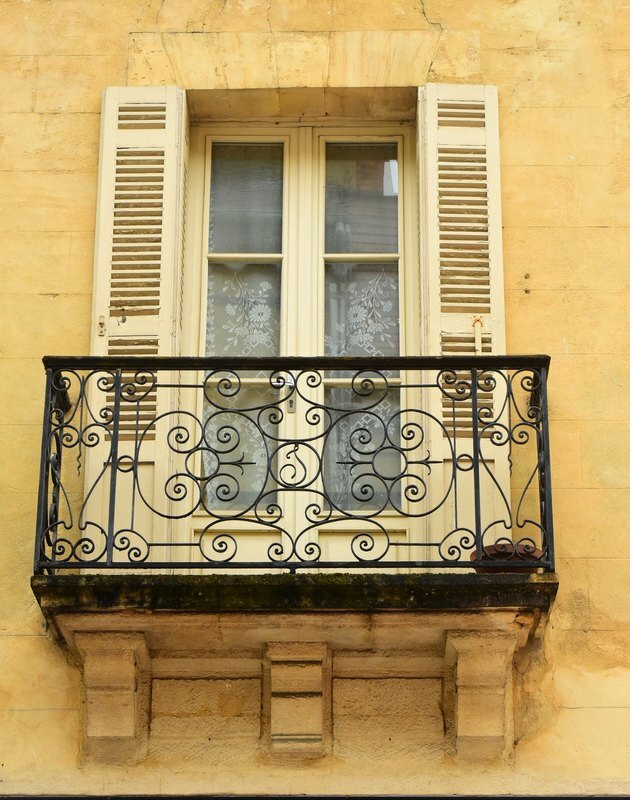 In France, this door style was generally used on balconies as means of allowing light and air into rooms.